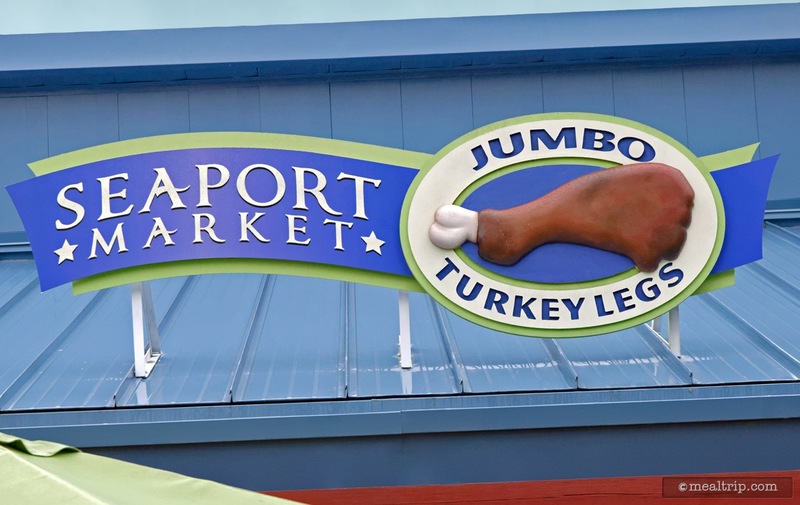 Just a bit to the right (south) of Seaport Pizza, you’ll find a small walk-up counter service kiosk called Seaport Market Jumbo Turkey Legs. 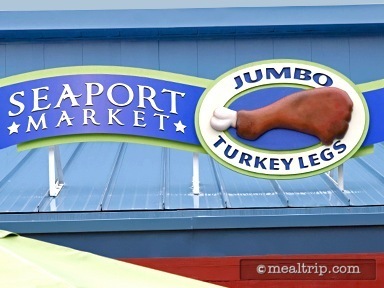 They offer... Jumbo Turkey Legs! There are a few umbrella covered seats, but we see quite a few people walking around with these giant masses of poultry. 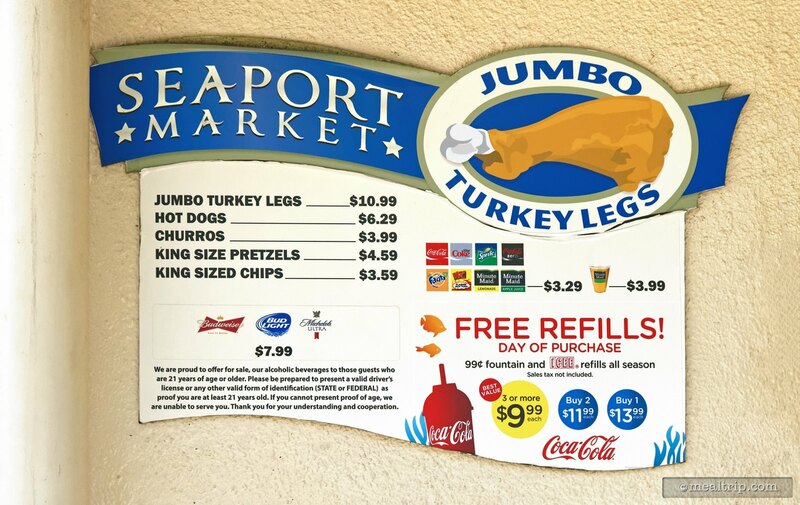 Seaport Pizza’s seating area is just a few steps away though, so if you would like to sit down, it’s not too far of a walk.